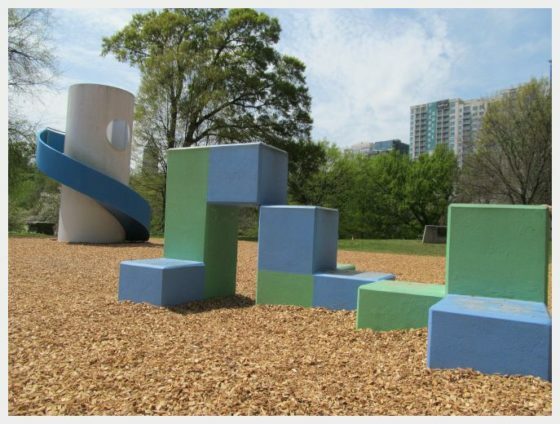 There are a TON of websites with lists of what to do in Atlanta with kids or toddlers. 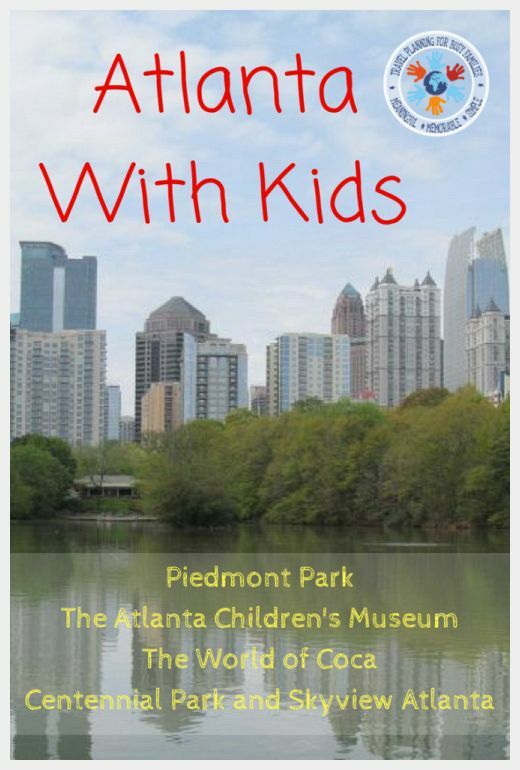 They do a great job of offering lists of what to do in Atlanta with kids and I am not going to rehash that information here. What I want to offer you is what my preschool aged son and I ACTUALLY did over a weekend in Atlanta. 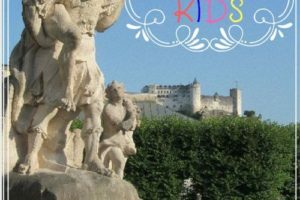 I also have some specific tips about visiting the Coca Cola Experience, The Atlanta Childrens Museum and Piedmont Park with kids! Atlanta is a pretty easy city to navigate on public transportation. A robust train system connects the airport with the main areas of the city, and buses fill in where the trains don’t go. 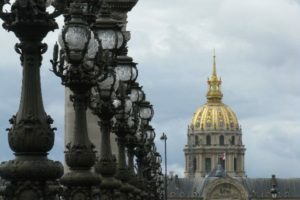 Most of the major tourist sights are accessible by train or streetcar. Piedmont Park is the biggest park in Atlanta. 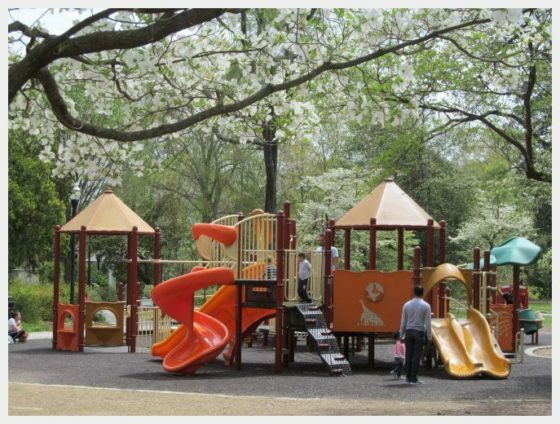 It boasts two playgrounds, a pool and splash pad and a botanical garden. 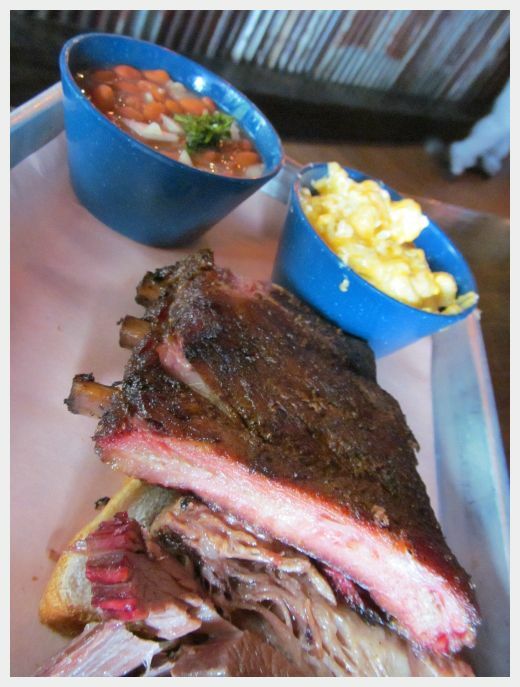 It is definitely worth visiting for these and for the iconic views of Downtown Atlanta. Piedmont Park is about a three block walk from the nearest MARTA station (there is a bus you can take to lessen the walk). When we were planning our visit to Piedmont Park, it was hard to tell from the map how BIG the park was and how long it would take to explore. We stayed mostly in the southern half of the park and did not get to the Botanical garden. We visited both playgrounds and walked around the lake in a couple of hours. Plan for most of a day if you are going to include a visit to the botanical garden. We found the best views of the city by walking around the south side of the lake. If you happen to visit Piedmont Park on a Saturday morning (9a-1p), you can experience the Piedmont Park Green Market for a variety of local fruits, vegetables and other yumminess! If you are walking over from the Midtown transit station, Willy’s Mexicana Grill is an easy place to stop on the way to pick up a picnic lunch to take to the park to eat near the playground! The World of Coca Cola is a MUST if you are visiting Atlanta. It is easy to combine a visit to the World of Coca Cola with the Georgia Aquarium, The Atlanta Children’s Museum and/or Centennial Olympic Park as they are all in the same area. 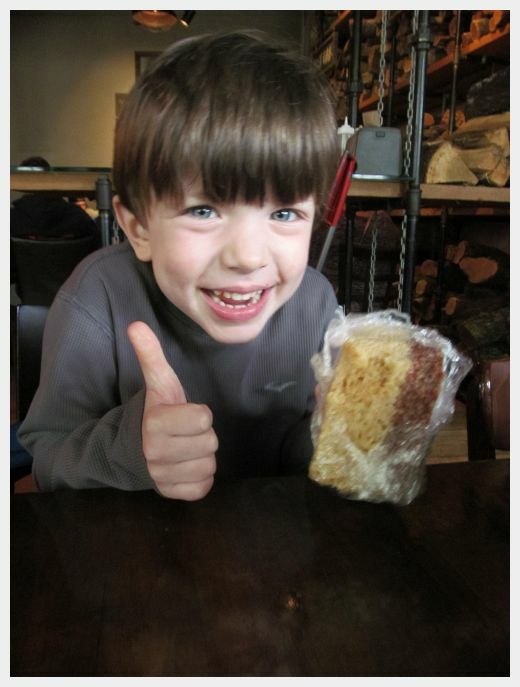 My 4 year old was soooo excited when I told him that he could try as much soda as he wanted in the tasting room! Make sure to visit early in the day so they have time to run off the sugar rush afterwards! Plan to get here early, especially if visiting on a weekend. We arrived at around 10:00am and there were no lines, but we saw folks piled up outside by 11:00am. It was a rainy day…if the weather had been nice, I suspect the line would have grown long earlier. The tour started with a can of Coke an a short presentation in a theater. Afterwards, you are released into the exhibit areas and can explore each part of the exhibit at your leisure. 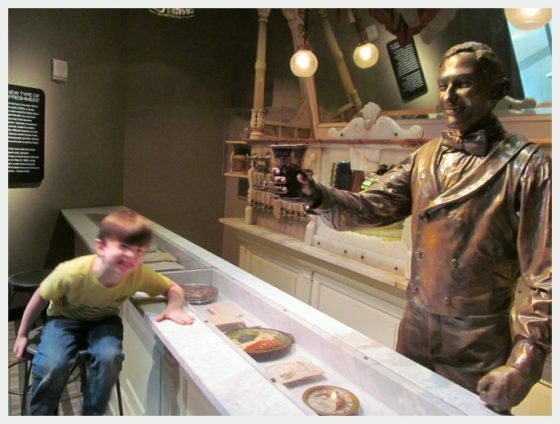 I am not a HUGE soda drinker, but I found the exhibits at World of Coca Cola fascinating. I learned a lot about how Coca Cola came to be an American icon. 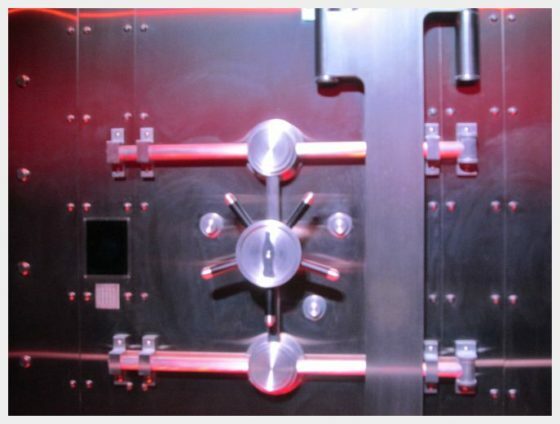 Visiting the vault was neat. I am not sure how much is true about the home of Coca Cola’s secret formula and how much is for show, but it was memorable nonetheless. It was also very nostalgic to see the original counter and bar from the drug store where coke was first served. The highlight of our morning was definitely the tasting room. The tasting room was separated into islands of soda fountains by continent. 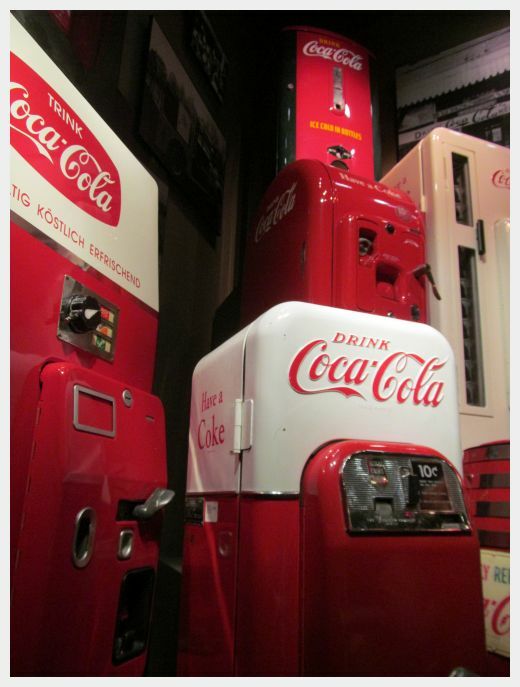 Each set of dispensers featured the Coca Cola products that are unique to that part of the world. Some were great…some were just plain ick. We had a ton of fun walking around trying new things and going back for seconds of our favorites. The Atlanta Children’s Museum was a really neat children’s museum to visit. 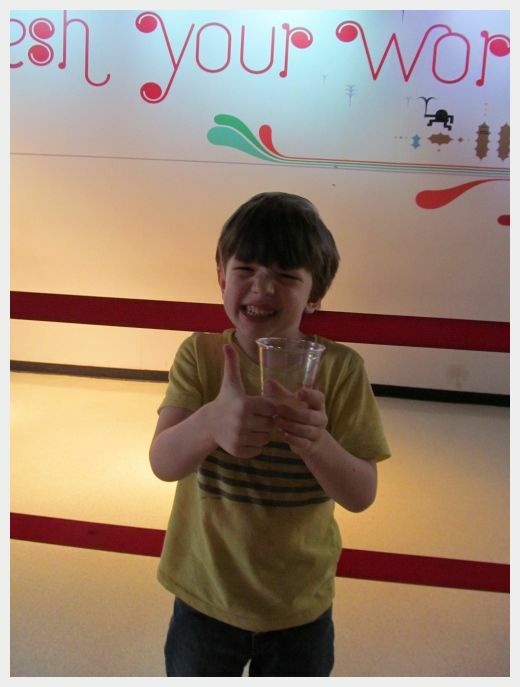 It was a great way for my son to run off his sugar rush after visiting the World of Coca Cola. I was impressed that this museum’s exhibits had many layers of information to accommodate a wide range of ages. We loved the moving balls exhibit at the front of the museum. There were lots of lifters, conveyor belts, cranes, tubes, and other ways for the kids to work together to move the balls from one place to another. The other place we hung out at most was the 5 and under area. 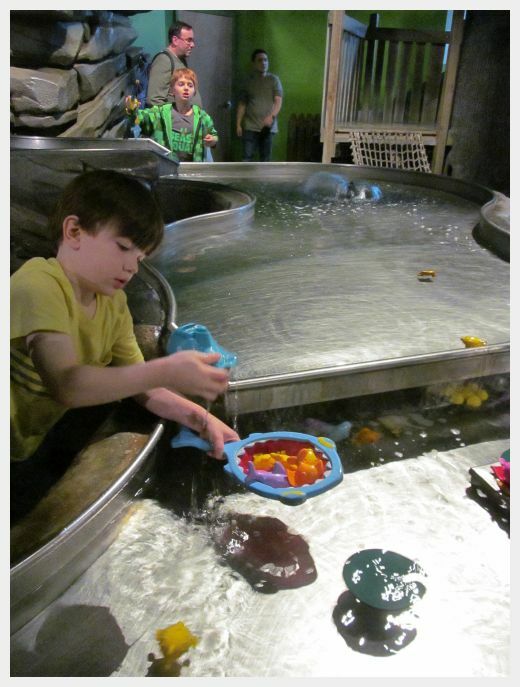 There was a great water feature in the shape of a fishing pond that my son played at for a long time. The area also had a tree fort climber. 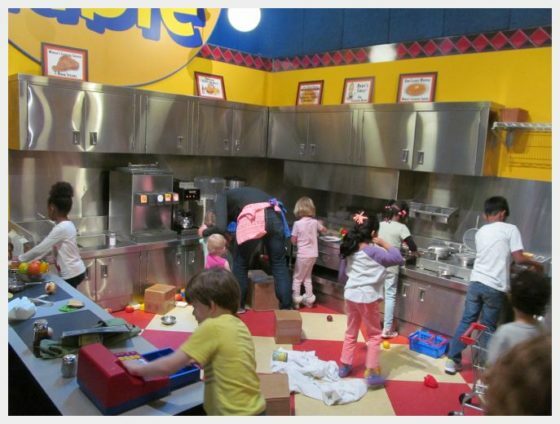 The museum had a kid sized play restaurant complete with real stainless steel cabinets and countertops, and the standard grocery store feature as well as a farm feature with a real tractor. Also of note – there is no cafe on site, so make sure to bring a lunch. There is a Subway within a block, so if you have forgotten lunch, this is an easy option. Centennial Park is right in the heart of downtown Atlanta. 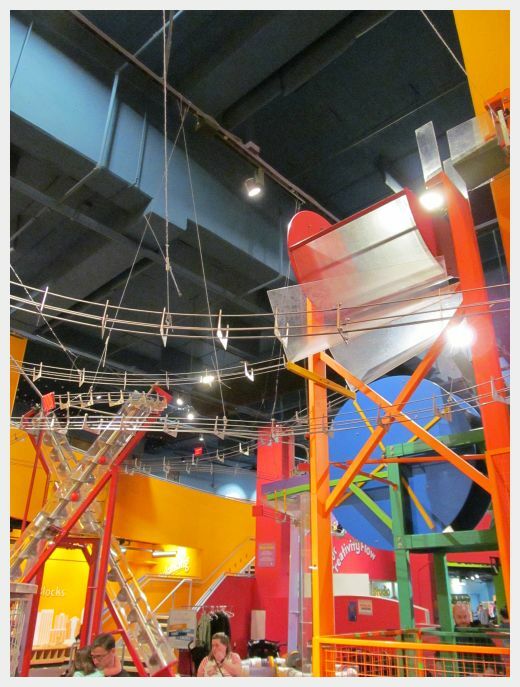 It is in close proximity to the Children’s Museum and World of Coca Cola. The park has two playgrounds and a really neat set of fountains that the kids can splash in shaped like the Olympic rings (it was originally built for the 1996 Olympic games). 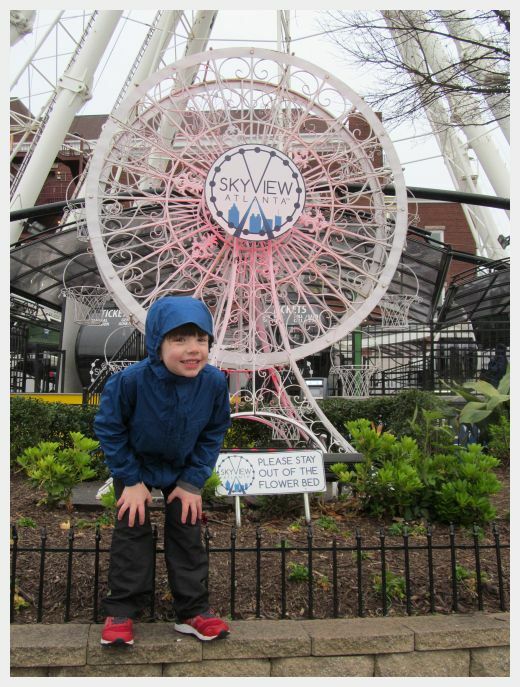 The Skyview Atlanta ferris wheel sits at the north end of the park. It offered great views of the Atlanta skyline and it was a great way to wrap up our weekend in Atlanta. The best part of this place with hungry kids? Because the meat and sides are already cooked, food comes out REALLY fast. We visited at a busy time during peak dinner hours and our food came out within minutes. This is not the cheapest restaurant, but I think that it is a worthy splurge. Another kid friendly choice nearby is Johnny Rockets. This tried and true kid friendly favorite offers burgers, hot dogs, fries and shakes in a 50’s diner setting. 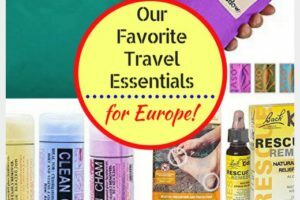 Looking for more Atlanta travel information? This is simply an amazing blog post. Keep up the good work!